We’d love your help. 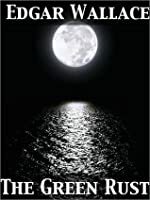 Let us know what’s wrong with this preview of The Green Rust by Edgar Wallace. 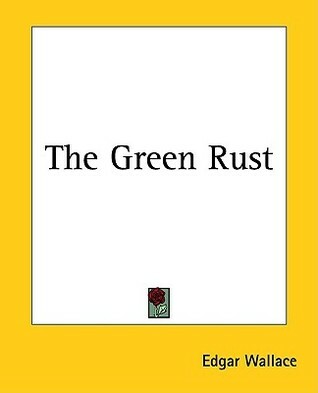 To ask other readers questions about The Green Rust, please sign up. This 1919 thriller was suspenseful even though the plot is dated in some technical aspects (such as (view spoiler)[ sending coded messages by pigeon to avoid government surveillance of the telegraph offices (hide spoiler)]). The main portion of this though seemed surprisingly modern -(view spoiler)[ an attempt by a terrorist to create and disseminate a bioweapon which would destroy crops (and perhaps all plant matter). Of course, being 1919, the terrorist is German but change him to an Islamic jihadist and update some of the technical aspects and it could take place today (hide spoiler)]. This is the kind of bestseller you would find in the 1920s. Edgar Wallace is sometimes called the "James Patterson of his time", and for good reason. Both are extremely prolific. As many as 25% of books sold in Britain at the time were written by Wallace, and I see posters for a new Patterson book every couple of weeks in my local library. That, and both are mystery and thriller writers. What is the "Green Rust"? I'll go ahead and spoil it for you because who is going to read this except for thos This is the kind of bestseller you would find in the 1920s. Edgar Wallace is sometimes called the "James Patterson of his time", and for good reason. Both are extremely prolific. As many as 25% of books sold in Britain at the time were written by Wallace, and I see posters for a new Patterson book every couple of weeks in my local library. That, and both are mystery and thriller writers. What is the "Green Rust"? I'll go ahead and spoil it for you because who is going to read this except for those interested in bestsellers of yesteryear? It's an artificial plant disease designed to destroy most of the worlds' wheat harvests so that "the Hun" can sell its crops for inflated prices and rearm itself after its defeat in World War I. Given the time it was written, you can immediately tell who the villain is by looking at the German characters. Still, when you think of Germany's revenge for World War I in real life, it makes the Green Rust scheme seem quaint by comparison. Oliva Cresswell would have been a "strong female character" if she were created in a later decade. As this is the 1920s, she gets drugged or knocked out a lot, and she doesn't even get to shoot the villain because the hero gave her a gun with the safety still on without giving her instructions on how to turn it off! Beale seemed dodgy in the early parts of the book, to the point that his vague statements made me think he was the villain at first. At least he feels regret for his scheme of marrying Oliva when she was in a drunken haze to prevent her from marrying Van Heerden. I like Edgar Wallace, I really do. But this book is awful. The main character behaves with such arrant foolishness that it is a miracle that she ever managed to walk out the door in the morning without tripping over. The supposed detective misses the most obvious clues and blunders around like an utter oaf. And the storyline is pretty far fetched anyway. A real shame as other books by this author that I have read were very good indeed. This was great fun to read. German anger over their loss in the Great War causes a bold attempt at early biological warfare. A mad German scientist plots the destruction of Europe and the US wjile an intrepid American detective and a damsal in distress struggle to thwart his plan. I believe that John Christopher must have read this book before writing his novel, No Blade of Grass. I consider this book to be the prequel to No Blade of Grass. So as you can imagine, I enjoyed reading this thriller even though the dialogue was ridiculous and it was very annoying that every bad person and good guy kept revealing their hand of cards each time they thought they had succeeded only to have the rug pulled out from beneath their feet. I love Edgar Wallace, his fantastical plots and predictable but passionate heroes.They are great to listen to while I'm at work weaving. I had listened to all of the canon on Librivox and I'm glad to see they have added a few more. This book has a great "McGuffin" of the green rust that will destroy all the corn crops of the world, throwing economies into chaos, almost like a Dr No or other James Bond villian. The book is dated with a strong anti-German bias. What looks at first like it is going to a fairly straightforward murder mystery, opens up into story of biological terrorism with a plot to destroy the world's grain harvest, with a dastardly German (it's an Edgar Wallace book, of course the German's dastardly) behind it all. Wallace is better a the set up than seeing the narrative trough, but still it's a nice Edgar Wallace yarn, one of his best. I listened to a great audio recording from Librivox. The Green Rust kept me entertained while I weeded the garden and harvested vegetables. I enjoyed the adventures very much. I am compelled to listen to more audio books by this very prolific author. Thank you again Librivox and the iPod Shuffle for all you do to enliven my daily activities and chores. I'm a big fan of Edgar Wallace who at one time was one of the most popular British mystery writers. This is not one of his best although it was enjoyable enough. I'd give it 2-1/2 stars probably but it was more dated than many of his books, most notably with the strong anti-Hun bias, and that made me round it down. Hmmm! I like this one but not as much as his others. A tale of national terrorism, written some time after WW1, but it seemed too farfetched to me. It was a free Kindle download and I really liked all the others by Wallace that I have read. This one just didn't appeal as much. I can recommend the others without restraint; I don't think I will recommend this one. Too many words, not enough story. absolutely loved the mystery element. a fun but predictable read. I was fascinated by this book from the first sight. Thrilling stuff, surprisingly witty, vehemently anti-German, which is odd when you consider that Wallace's most lasting popularity has been in Germany. That ending went on for a long time.